"Werewolves are much more common animals than you might think. " The history of the werewolf is a very interesting and mysterious one.Individuals throughout this history have wondered “Are werewolves real?” To date, it has not yet been concluded if werewolves are real, but there are many that do believe that these human to animal based shapeshifters do have a place in reality. A werewolf is also known by the name of “Lycanthrope”. When translated from the Greek language, this word means “Wolf Man”. This mysterious mythological creature is said to be human with the capability of shapeshifting into a creature that resembles a wolf. In this guide on the greatest unsolved mysteries of the world, you will learn the history of the werewolf and many interesting facts pertaining to this mysterious creature. When evaluating werewolf history, you will discover that the creature is not a wild animal, but rather a man that transforms into a wild animal that seems to have absolutely no inhibitions. The actual transformation from man to werewolf seems to occur in several different ways. First, it is believed that the transformation may be done purposely. 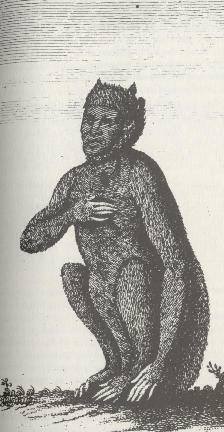 It is believed that the creature has the capability to make themselves go from human form to werewolf form in order to protect themselves at will. It is also believed that the transformation occurs if an individual is cursed. Lastly, a werewolf transformation may occur if a person is either bitten or the skin is broken by another werewolf. Those that are capable of transforming into a werewolf are rumored to do so during the time when a moon is full. When evaluating European based folklore, you will discover the physical description of the werewolf. First, it is said that the fingernails are completely curved. The ears are often said to be set relatively low and the eyebrows are said to meet where the nose bridge is located. It is believed that if a man is cut that is a werewolf that there will be a visible appearance of hair in the wound. Additionally, by looking at the bottom side of the tongue, there will be a visible appearance of hair. These hairs are often described as bristles. When evaluating the history of the werewolf, you will discover that while in creature form, the animal seems to have an immense degree of strength. However, it is believed that once the transformation occurs in which the werewolf returns to human form that the individual will become weak and possibly even become quite depressed. Are werewolves real? That has yet to be confirmed. However, we can say that the history of the werewolf is one of the most intriguing greatest unsolved mysteries of the world.